For Prince Harry and Meghan Markle, this Christmas marks their final festive season as a family of two - as next year of course, they'll be joined by their new baby. But while the Duke and Duchess are sure to be looking forward to some quality time together over the holidays – their first as husband and wife – a new rumour that has just surfaced, hinting that the newlyweds will be spending part of December 25th without each other’s company. Reportedly, it’s actually all due to royal tradition, according to former chef Darren McGrady. He told the Mail on Sunday that the men of the royal family always eat together at 8:30am, while the royal ladies enjoy breakfast in bed, instead. “On Christmas Day, the ladies generally opt for a light breakfast of sliced fruit, half a grapefruit, toast and coffee delivered to their rooms,” he explained. According to him, the family then all sit down for lunch together at 1pm – with the children eating separately half an hour earlier. The reports come amid immense speculation over the state of their respective friendships between the ‘Fab Four’ – Prince William, Catherine, Prince Harry and Meghan. The reports have been endless, with some claiming that the Duchesses do not get on well – and others saying that brothers William and Harry are drifting apart, as they focus on their own families. 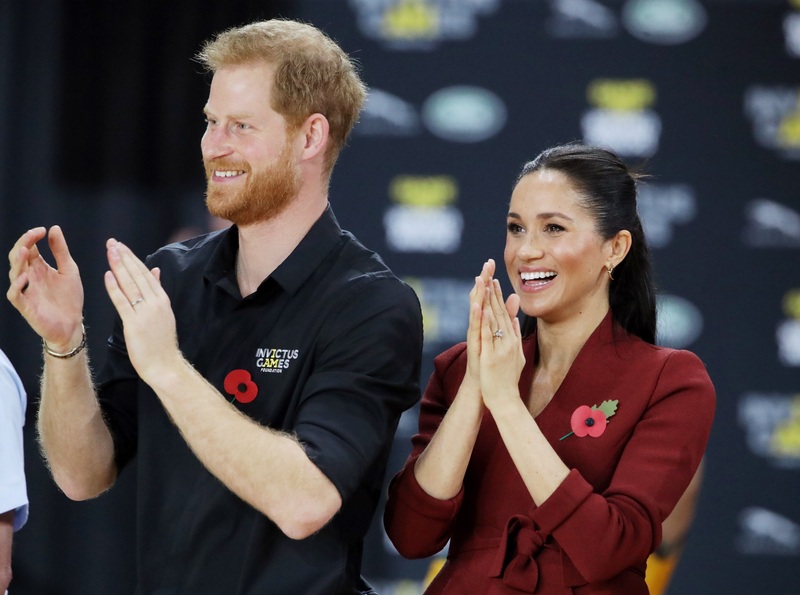 As such, many publications have claimed over the last few days that the Duke and Duchess of Cambridge, and the Duke and Duchess of Sussex, will spend Christmas apart – with William and Catherine heading to her family’s home in Berkshire, and Meghan and Harry heading to Sandringham with the royal family, and her mother, Doria Ragland. 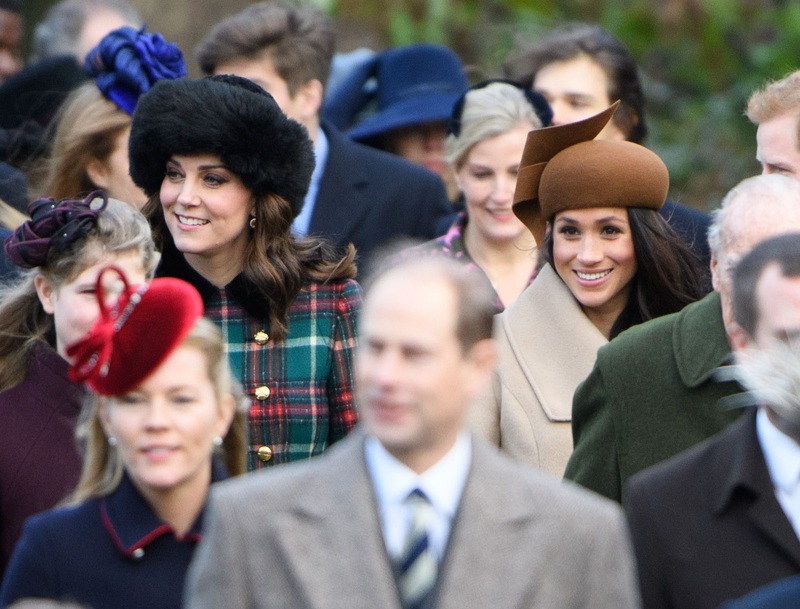 But according to royal reporter Rebecca English, the foursome will actually be coming together for the festive season, spending the big day with the whole royal family at Sandringham. Of course, the couples spent their first Christmas together last year at the Queen’s Sandringham estate too, heading to church together on Christmas Day. Reports of unease between the royal brothers and their wives first began after the palace confirmed that Meghan and Prince Harry would be moving out of Kensington Palace, into Frogmore Cottage on the Windsor Estate. Many expected them to move into Apartment 1 at the London palace, next door to Catherine and William – and after they decided not to, many questioned if the reportedly less than close friendship between Meghan and Catherine was to blame. However, royal sources have said that the decision to move was simply down to the Duke and Duchess of Sussexes love of Windsor, and the fact that the Frogmore abode would be ready in time for their baby’s arrival in the spring. While the truth is unclear, we’re sure that Meghan, Harry, Catherine and William simply enjoy a normal, family relationship, full of ups and downs. After all, they work together much more closely than normal relatives! The news comes after it was reported that Meghan has a solid solution for dealing with negative news stories – by avoiding them altogether. A royal source, speaking to Vanity Fair, claimed that she often avoids negative press altogether, focusing instead on more positive things. We reckon that’s a pretty great solution!